When it comes to security, convenience stores face a number of challenges that affect their bottom lines. Among the concerns that keep c-store owners up at night are shoplifting, robberies, internal theft, fraud, and general employee misbehavior. 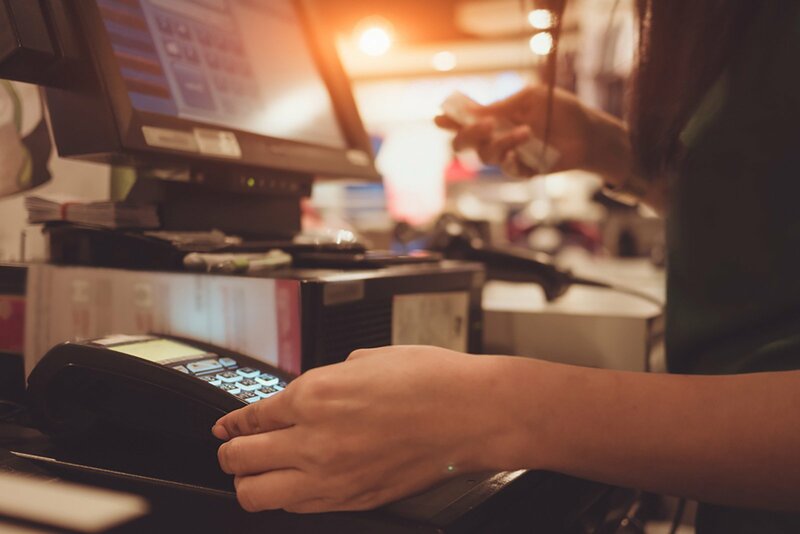 Additionally, stores can have many vulnerable areas including the cash register, ATM machine, entrances, hallways, backdoors, and restrooms. As an owner, it is simply not possible to keep an eye on everything that goes on during business hours, especially if you operate in more than one location. After all, you simply cannot be everywhere at once, right? Actually, thanks to managed video solutions, you can be everywhere at once. You may not be physically present to intervene when something goes wrong, but Envysion’s line of c-store video surveillance products allow owners the chance to be an eye in the sky and monitor operations at all of their locations remotely. Our managed video solutions combine both audio and video surveillance footage, as well as pertinent POS data. This real-time information empowers owners with data that is far more actionable than hearsay or suspicion. Knowing the truth about what goes on in your absence allows you to more easily resolve employee and customer disputes, prevent insurance fraud, hold employees accountable for specific transactions, ensure compliance with alcohol and tobacco laws, and much more. Does Your Wireless Security Camera System Do This? Video on Demand: Cloud-based video surveillance software allows you to access any camera from your mobile device anytime, day or night. The search features allow you to hone in on specific events and retrieve footage based on time, date, location, and transaction without scanning through hours of material. Integrated POS Data: Envysion’s managed video solutions combine video, audio, and POS data to allow franchisees to get all of the pertinent information related to any specific transaction. Our customizable software allows you to streamline data collection and receive immediate notification of fraudulent or suspicious transactions. In which locations around the store are theft, fraud, and other incidents likely to take place? Most commonly the answer is anywhere that money is kept (cash register, ATM, office, safe), as well as any area that is either partially or completely hidden from view (hallways, restrooms, backdoors). Surveillance video from these locations will tell the story of what happened should any negative incidents occur. One simple way to prevent shoplifting is to keep track of who comes and goes from the store, and who leaves with what. Encourage employees to be on the lookout for theft, and utilize surveillance video to identify those who need to be more diligent. Watch footage from cameras to familiarize yourself with the day-to-day goings on at each particular location. Use this information to improve employee performance by pinpointing areas that need work. For instance, make sure that cashiers are checking ID’s when selling alcohol and tobacco, and that they are prioritizing customers over other duties. Also note employees’ use of downtime, and make sure that they are keeping the store clean and stocked during their shifts. If you receive notification of a fraudulent or suspicious transaction, alert the manager on duty right away. This will allow for closer scrutiny of the employee in question and for a better chance to determine what exactly is going on. Take the guess-work out of scheduling and ordering by looking at trends in data. Determine how many employees to staff at certain times on certain days based on foot traffic and number of transactions. Figure out how much to order of seasonal items by looking at sales trends from years prior. Has someone ever slipped and fallen and claimed that you were at fault? Has there ever been a dispute between a customer and employee in which the customer claimed to have been charged too much or for the wrong item, or that the employee mistreated them in some way? Rather than trying to weigh the merits of each side of the story, get to the bottom of such incidents by going over the footage and deciding how to proceed based on your own observation of what happened. In addition to helping you spot negative trends and problems in your business, managed video surveillance can help you highlight strong points as well. If you notice an employee who regularly goes above beyond, be it through helping co-workers, giving exceptional customer service, or paying extra attention to cleanliness and detail, do not hesitate to reward that individual! Simple recognition for a job well done can go a long way towards encouraging a good work ethic, improving morale, and retaining talented staff. Ready to explore ways to improve operations in your convenience store franchise? Click the button below to request your free, personalized software demo.